April 20, 2018. 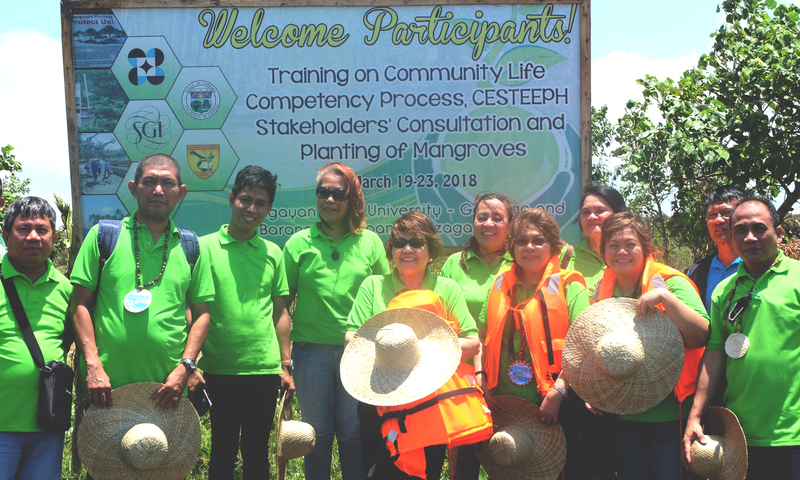 The CSU-CESTEEPH project was successfully launched last April 20, 2018 at Brgy. Caroan, Gonzaga, Cagayan. The fellowship program, declaring and signing of commitment, ceremonial tree planting and visit to the mangrove restoration site were graced by Dr. Lilian De Las Llagas, CHED Commissioner and CSU BOR Chair Designate, Dr. Zulhamsyah Imran, SEAMEO BIOTROP Deputy Director for Administration and officials of DOST, DEPED and LGU-Gonzaga. 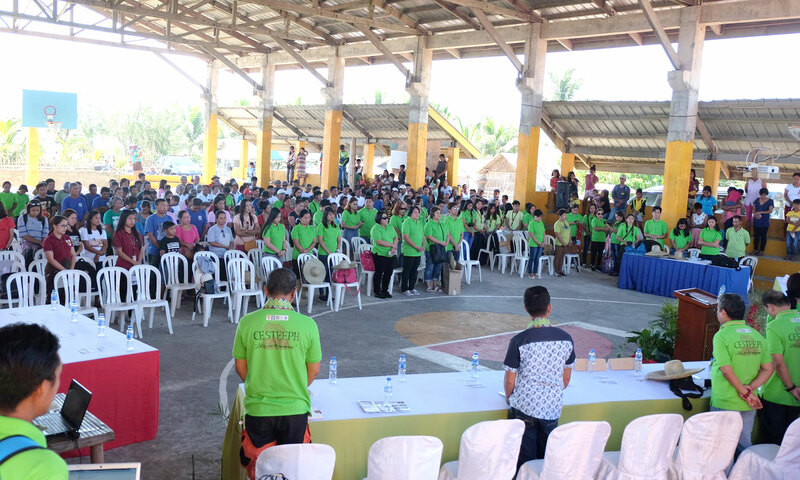 More than 400 community folks from the villages of Caroan, Tapel and San Jose joined President Tejada in the ceremonial planting of agoho, coconut and aroo seedlings along the coastal area of Caroan. 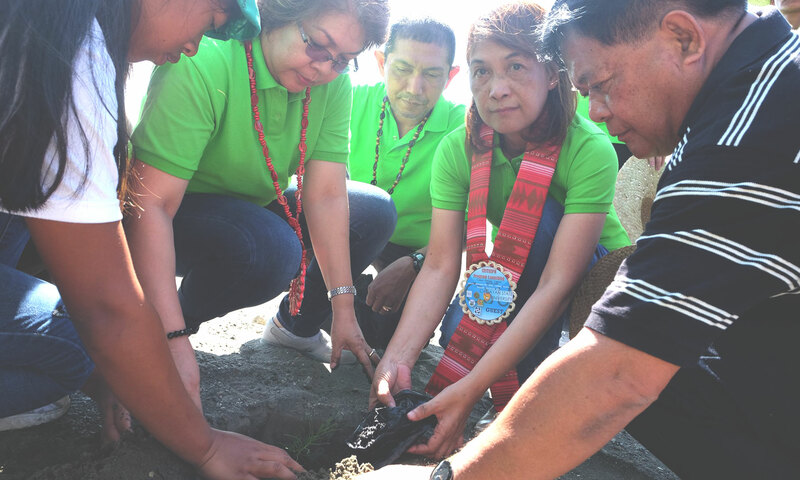 After the ceremonial planting of mangrove seedlings, the officials visited the restoration site where 15,500 bakawan saplings have been planted. The project named â€œCommunity Empowerment through Science, Technology, Education and Environmental Protection and Health (CESTEEPH): A Collaborative Community-based Program for the Conservation, Restoration and Sustainable Utilization of Mangrove in Gonzaga, Cagayanâ€� is a result of a Memorandum of Understanding signed between CSU and SEAMEO Regional Center for Tropical Biology (BIOTROP) based in Bogor, Indonesia. Generally, the program aims to develop mangrove communities in Pamplona and Gonzaga, Cagayan and to build their resiliency with the protection, restoration, conservation and sustainable utilization of mangrove ecosystem through bioengineering, livelihood and enterprise development, ecotourism, education, health and nutrition.